Smoked Salmon Spread with Dill - Get the Good Stuff! This simple (and make-ahead) spread might just be the best thing to have in your refrigerator for a quick and delicious brunch. 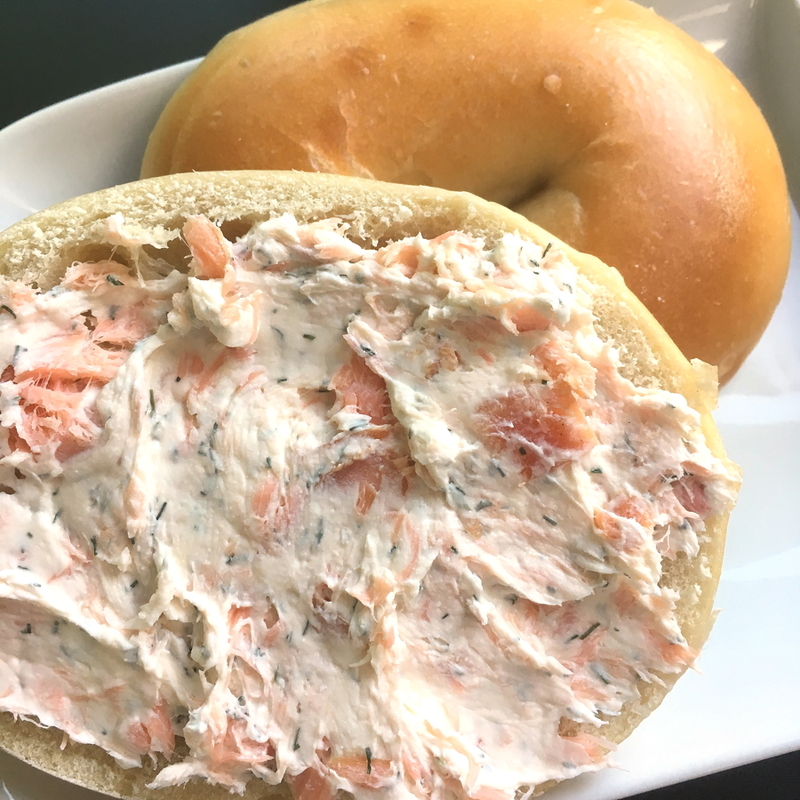 If you have access to dry-smoked (kippered, or hot-smoked) fish, this smoked salmon spread with dill is an snap to make. If you’ll be serving brunch for your family and friends, or just want to keep it on hand, you’ll be happy to know it can be made several days ahead of time and kept, chilled, in the refrigerator. Soften the cream cheese. If you’re in a hurry, unwrap it and place in a medium-sized bowl. Zap it in the microwave for about 30 seconds, then stir vigorously. Remove the skin (and any bones) from the salmon. Cut it into small chunks and set it aside. If you’re using fresh dill weed, chop it finely. Stir the cream cheese well with a broad flexible spatula, then gradually add lemon juice. Taste as you go, and stop when the mixture has a definite lemony taste for you – that will be just about perfect to balance the flavor of the fish. Next, stir in the chunks of smoked salmon. Any large bits of fish will begin to flake apart, which is exactly what you want. Add dill and combine. Keep tasting it – you may find it takes a surprising amount, especially if you’re using dried dill weed. Just keep adding, stirring, and tasting the spread until you think the taste is perfect, then stop. For the best ever no-work breakfast when you have guests visiting: make the smoked salmon spread with dill the evening before, and stash it, covered, in the fridge where the flavors will blend and mellow. Send someone out for fresh bagels in the morning, and make a pot of tea or coffee. Done!